In this post, I would like to highlight a potential dent-inflicting situation in multi-storey car parks. The thing is that you may not notice the source of the problem until the damage is done. 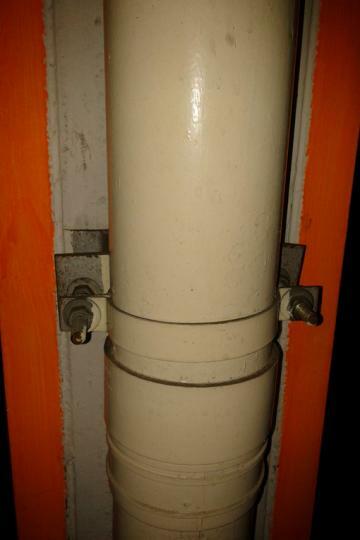 It is very common to find water piping running along the pillars of multi-storey car parks. They serve to drain away rain water as well as water from car wash. Sometimes, these pipings can become detached from the pillars and additional reinforcement is required in the form of bolts and nuts. In the situation that I encountered, the bolt and nut system was installed somewhere below the beltline of a normal sedan. Hence, a driver opening the door from inside would not be able to notice it. 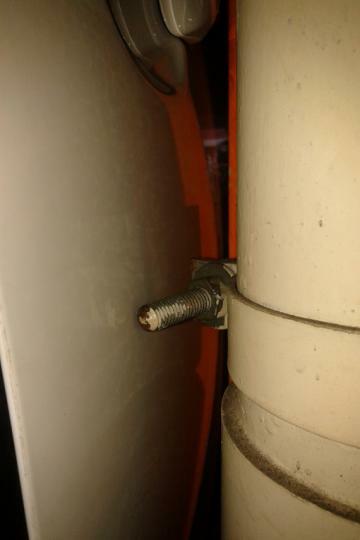 Fortunately, I did not open the door too widely and missed the bolt narrowly. A bolt has a pointed end. This would greatly increase the chance of a dent and the paintwork might chip off too. If you �sayang� your car, it would be prudent to open the door gently every time. You will never know what is hidden behind it.